The Houston crude oil distribution system is gearing up to handle a flood of new supplies from over 1.7 MMb/d of pipeline capacity delivering into the region by the end of Q2 2014. 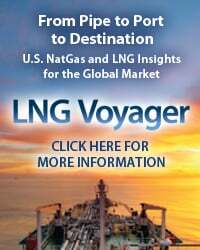 A trading market is also developing for producers and shippers selling that crude to Gulf Coast refiners. New grades of both light and heavy crude are showing up – principally from the Eagle Ford, the Permian Basin, North Dakota and Western Canada. Will a new crude trading market develop in Houston to rival those at Cushing, OK and St. James, LA? Today we look at the evolving Houston crude market. We have previously described some of the theory behind pricing mechanisms that US traders use to determine what they pay for crude oil (see The Cost of Crude at Cushing and The CMA Roll Adjust and WTI P-Plus). Traders can negotiate prices based on whatever they want in theory but in practice they typically use the WTI futures contract as a starting point or “benchmark” because it is widely traded (meaning that you can find a price easily) and it is simple to hedge using CME NYMEX futures contracts. When a trade involves another crude grade besides WTI a quality differential is negotiated to reflect the relative refining value of that crude versus WTI. When the trade is at a location other than Cushing, a location differential is negotiated to reflect transport and other logistic costs. Then there is some intangible market factor that comes into the equation that reflects the supply and demand situation of that crude at a point in time. All of these differentials and factors tend to get bundled together for convenience – usually by reference to another crude traded at the preferred location. 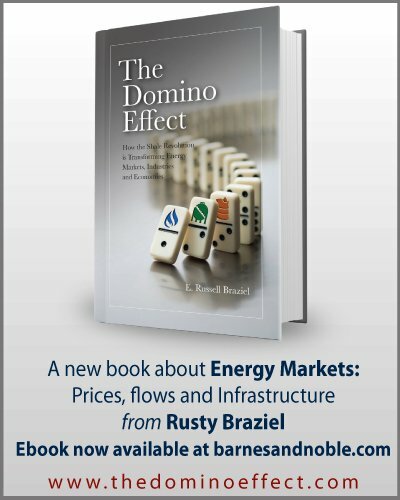 This traditional pricing system has been sorely tested over the past three years by dramatic changes in the US crude market. These changes have been driven by rising Canadian and inland crude production leading to distortions in the prevailing crude oil marketing and distribution system. Rising inland crude production became stuck in the Midwest and unable to get to coastal markets due to transportation constraints. That land-locked crude traded at a discount to coastal crudes competing in the international marketplace. The discounts for inland crude priced against WTI versus coastal crudes priced against the international Brent benchmark at times reached nearly $30/Bbl and averaged $18/Bbl during 2012. These “distorted” prices reflected not just the location differential between Cushing and the Gulf Coast but the oversupply of the Midwest market with stranded supplies. Some of these market distortions are starting to get resolved now. New pipeline capacity between the Midwest and Gulf Coast has opened up and crude is moving by rail from North Dakota to markets on the East, West and Gulf Coast. The WTI discount to Brent has diminished to about $3/Bbl (see Strangers in the Night) and the crude stockpile that built up at Cushing has been drawn down considerably in the past month. But the Gulf Coast crude market is still rather unstable. Existing refinery suppliers – many of them importers – are just now facing up to competition from new crude streams arriving from Texas and the Midwest. These “incumbent” suppliers either have to find a new home for their production or discount their prices to compete. New supplies coming to market are unfamiliar to refiners and their quality can be suspect. Some of these crudes have travelled a long way to get to the Gulf Coast – in the case of Western Canadian crude – over 2000 miles. A lot of times producers sold their crude further up the distribution chain to marketers or shippers. Some of those middle men are not above mixing together different grades to create blended crudes that on paper are more attractive to refiners but in practice may turn out otherwise. We know that generally the new slate of crudes showing up at refinery gates is an unfamiliar mixture of very light sweet grades and heavy sour grades (see Turner Mason and the Goblet of Light and Heavy). Refiners are now faced with the challenge of figuring out which of these new crudes to process and how to value them. The folks that facilitate the valuation process are also trying to figure out what new grades of crude and locations will develop into liquid markets in the new crude marketplace. These are the price reporting agencies – companies like Platts (part of McGraw Hill), Argus and OPIS that publish daily assessments of prices for petroleum products and crudes at market centers around the world and the futures exchanges that trade financial contracts based on physical trading such as the CME NYMEX and Intercontinental Exchange (ICE). 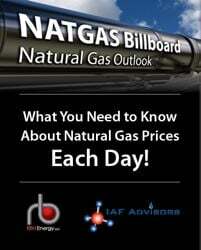 The daily crude price assessments that these agencies publish are frequently used in crude contracts as a reference price – along with benchmarks like WTI and mechanisms like the monthly average NYMEX CMA. Last October we discussed a new Platts marker price for Eagle Ford crude (see Clash of the Titans). The Eagle Ford marker is based on the difference between typical Eagle Ford and LLS refined product yields at a Gulf Coast refinery. In November 2012 we reported on discussions to make the Enterprise Crude Houston Oil (ECHO) terminal the basis for a new NYMEX futures delivery contract for light sweet crude in Houston (see ECHO and the Blending Men). We’ve seen no public indication of progress on this idea. More recently, at the end of July (2013) Platts started reporting a new daily price assessment for Light Houston Sweet (LHS) crude. The new LHS price assessment is designed to be representative of light sweet crude grades flowing into Houston from the Permian Basin and Cushing rather than from the South Texas Eagle Ford field. In the white paper accompanying the new assessment (copy here) Platts talk about a “new vibrant market center at the US Gulf coastline” and the likelihood that the central marketplace for US domestic crude trading may well be transitioning from its traditional home in Cushing, OK to Houston. The Platts paper lays out specifications for the LHS crude assessment that are substantially the same as those for WTI crude at its production center in Midland, TX. The API gravity is 42 maximum and the sulfur content is 0.45 percent maximum. The new LHS crude assessment is designed to reflect trading in two streams of crude oil. The first is what Platts call domestic light sweet (DLS) that is flowing from Cushing to the Gulf Coast right now via the Seaway pipeline (along with heavier Canadian grades) but by the start of next year will also be flowing via the 700 Mb/d Keystone Gulf Coast extension from Cushing to Nederland and Houston. 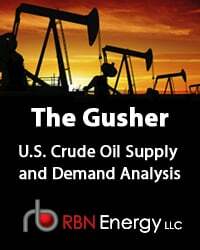 DLS is a mixture of WTI Cushing – that originates in the West Texas Permian Basin and other similar grades of light sweet crudes flowing into Cushing from locations such as the Niobrara and Anadarko basins. It also includes Bakken Williston Light Sweet (We will examine this crude grade and it’s pricing in an upcoming blog). The second – and for the moment dominant - stream of crude assessed for LHS is WTI crude delivered to Houston directly from the Permian Basin in West Texas. That crude is now flowing into Houston via the Magellan Longhorn pipeline to the tune of at least 120 Mbd and another 40 Mb/d via the Sunoco West Texas Gulf pipeline from Goodrich to the Oil Tanking Houston terminal. This crude is a mixture of WTI and its sister grade West Texas Sour (WTS) that is heavier (33 API) and has higher sulfur content (1.98 percent). The LHS quote only reflects WTI grade crude. Platts has defined the delivery location for LHS as three Houston crude oil terminals that we have discussed in RBN blogs – where crude from Texas and the Midwest is arriving in Houston. These are the Magellan East Houston Terminal (see The Gates of Magellan), the Enterprise Houston Crude Oil (ECHO) terminal (see ECHO and the Blending Men – Texas terminal Wars), and the Oil Tanking Houston terminal (see Crude Accommodation at the Oiltank Inn). These three terminals are in close proximity to greater Houston refining capacity along the Houston Ship Channel, in Pasadena and in Texas City. We recently detailed the refineries in this region and the nearby Port Arthur and Beaumont refining centers - amounting to 3.7 MMb/d of capacity (see Rock the Basin – Houston Refinery Crude). The map below shows Magellan’s distribution pipeline connections to these Houston area refineries. There are incoming flows from the Permian Basin, the Eagle Ford and Cushing as well as a pipeline route to Port Arthur and Beaumont via the Shell Ho-Ho pipeline. 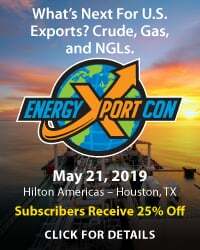 Platts also expect that greater quantities of crude deliveries from the Permian and Cushing will arrive in Houston via rail as new unloading terminals are built out along the Houston Ship channel (see Gulf Coast Destinations – the Ship Channel). The basic premise behind the new Platts LHS price is that there is a growing market in Houston for crudes that either are WTI (from the Permian Basin) or look like WTI (the DLS blends from Cushing). 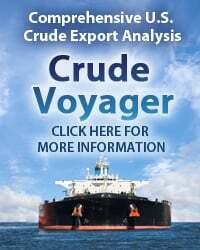 These crudes have a higher value to refiners than the very light crude grades coming into Houston from the South Texas Eagle Ford so they deserve their own assessment. That is because the Eagle Ford crudes tend towards very high API gravity – meaning they produce a lot of what are known as “light ends” when refined, that can overwhelm typical Gulf Coast refineries not configured to handle so many of these components (higher API Eagle Ford crude is sometimes classified as condensate and as such is heavily discounted by refiners – see The Eagle Ford Condensate Challenge). Lighter crudes with a higher API also tend to produce more gasoline components than middle distillates, which make them less attractive to refiners in the current market because Gulf Coast exports of diesel made from middle distillates are booming right now. As a result there are separate trading markets for Eagle Ford and LHS. 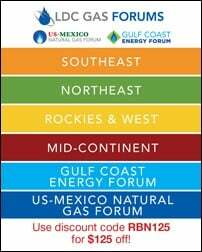 To access the remainder of Houston We Have An Assessment - Gulf Coast Crude Markets After The Flood you must be logged as a RBN Backstage Pass™ subscriber.